The search giant, Google is now rolling out a major update to Google Feed, including a new name. 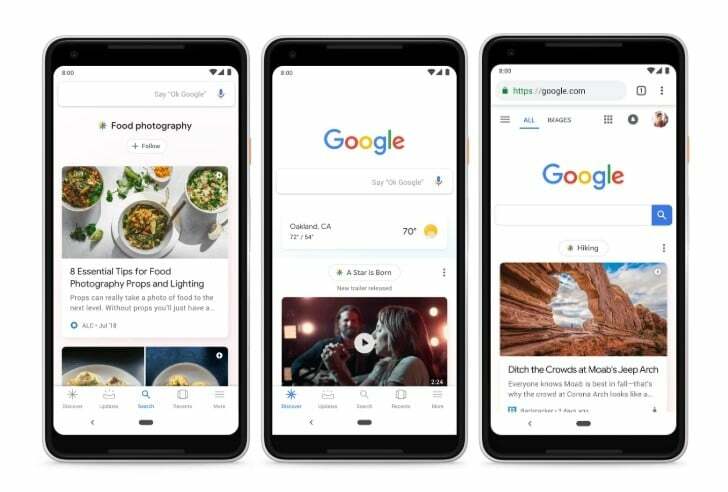 Google Feed is being renamed as Google Discover, and as the name itself suggests, it now gives more context and control over search results to the users. Furthermore, this major upgrade also brings a fresh look to Google Feed- both for desktop and mobile browsers. Google Feed gathers relevant information for the users based on their previous searches and interesting categories, even when they are not searching for the information. Introduced last year, ‘Google Feed‘ surfaces relevant content to users, even when they are not searching for it. “With this new name comes a fresh design that makes exploring your interests easier than ever,” Karen Corby, Group Product Manager, Search, Google wrote in a blog post on Monday. To customise what appears on “Discover” for users, the search engine giant would now provide more ideas, visual content and articles of their interests based on their search history. With this redesign, Google has also added multi-lingual support to “Discover” to make the feature more straightforward to understand and use for people of different dialects. The updates would reach users over the next few weeks, Corby added. For those who’re unaware of what Google Feed is, it can be accessed via the Google app which comes preloaded on your Android handset. Google Feed displays articles from various websites around the world based on your interests. It refreshes in the background and keeps users all the time.